As the old saying goes, there are only two certainties in life… death and taxes. Of course, we’ll keep this blog positive and inform you of your tax liabilities in a much more upbeat fashion. The type of taxes that you pay, both personally and as an individual, will depends on the legal set up of your business. Trading through a limited company would bring both income and corporation tax into the mix. For you, the Director and/or Shareholder of the limited company, you will have personal tax liabilities in the form of income tax – a taxable sum deducted from your personal remuneration from the business. As a Director, your salary from the company will be taken into account as part of your taxable income. As a shareholder of the company, you will be entitled to dividends, of which the first £2,000 are tax free. Anything over that threshold but within your basic rate band, up to £46,350 for 2018/19, taken in dividends will be subjected to 7.5% personal tax. As your accountant, we will help you navigate income tax, based on your monthly/yearly requirements, by ensuring your remuneration structure from the company is the most tax efficient tied in with your needs. The company itself will be subjected to corporation tax from the moment the business begins trading. 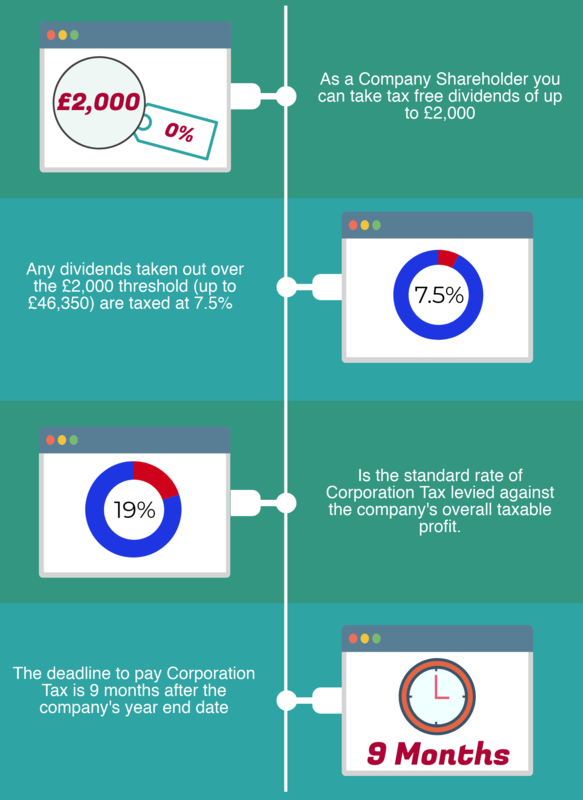 The standard rate for corporation tax on a business is 19% of the companies taxable profits. Corporation tax is calculated after all costs and expenses for the company have been taken in to consideration, for example, premises rent, employee wages/salaries and stock costs. 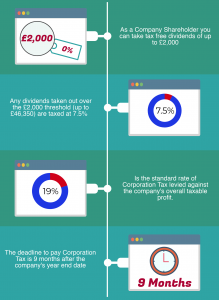 Corporation tax is due to be paid 9 months after the company year-end and the Corporation Tax return filed with HMRC 12 months after that same date. A sole trader set up does not require any corporation tax, as the business itself is not a separate legal entity. Essentially, you are the business, and the Sole trade business profits (after all relevant costs) are taxed on you as the individual in the tax year they are generated. Class 4 National insurance (NI) contributions are payable at 9% on profits between £8,424 and £46,350, then just 2% on any profit over that. Class 2 NI is also payable at £2.95 a week if your profits exceed £6,205. The Tax and all NI Contributions are dealt with through the individuals self-assessment tax return. Sole Traders do not have dividends, so dividend tax is therefore not applicable. The tax-free threshold for a Sole Trader is currently (2018/19 tax year) £11,850 so income tax is only applied to the figure above that amount. 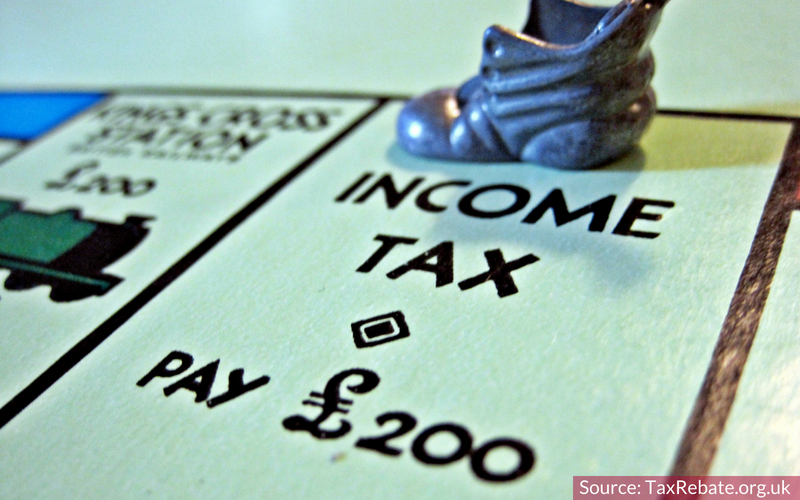 A basic tax rate of 20% would be applied on income between £11,850 and £46,350, with earnings over that to be classed as a higher rate and therefore taxable at 40%. Undertaking a Self-Assessment can be complicated so getting advice on how to be compliant with HMRC and ensure you are claiming all expenses you can is highly recommended. For all types of tax returns, getting the right kind of advice will ensure you and your business are paying the correct amount of tax, whilst also taking advantage of the optimum amount of allowances for your circumstances. No-one wants to pay too much tax! Plus, late filing can result in penalties and late payment interest. Everyone’s situation is different so having knowledgeable support will give you the comfort that compliance requirements are in hand and you can concentrate on what you do best, run your business. If you have any questions from this blog or are having difficulties navigating your way through the tax repayment system, then please do get in touch. Our ethos is to always do what is right for your business and keep you compliant with the tax authorities.